Did you know? Nearly 85% of customers tend to rely on the Internet to find a local service. In this regard, you may consider your personal habits. In case you are on a vacation in a foreign land and are in need of a restaurant to satisfy your hunger, what would you do? Well, you may either ask the strangers around you or simply do a quick search on the Internet. The latter seems to be the most likely choice. Ultimately, you will find yourself on the website of a restaurant. Most customers visit and scan through a business website before ordering/buying the service or product. While having a small business website is, of course, a prerequisite for success, do note that the website needs to be optimized for conversions. The scenario presented above simply reflects the fact that the presence on the Internet through third-party reviews, social media, and an attractive website is of great importance. In this article, we list down all the reasons why your small business needs a website. Since 85% of the people use the search engines to look for businesses/services in their locality, having shown up in the local search results will boost your sales. In case you still rely on the rather traditional word of mouth or outdated advertisement methods, your business/service may not find the success that it deserves. Suppose, for instance, you have an awesome bakery located in Toronto. In case you do not own a website, people in Toronto who search ‘bakeries near me’ are not going to learn about your presence. A business website is considered to be the foundation of a digital marketing strategy. This is the prime spot where most of your customers will end up in pursuit of your services and information about your employees/products. Moreover, a website is what bloggers and social media influencers link back to. While it will definitely be worthwhile to have active social media accounts such as Twitter, Instagram, and Facebook, that alone is not really enough. This is because third-party platforms reduce the amount of control that you have on your brand’s visibility over time. For instance, the recent change of algorithm by Facebook could be an example. Now, brand posts tend to get deemphasized unless they have a particular amount of interaction. So, in order to engage the customers on Facebook, a brand’s strategy would now be different. Since an increasing number of customers are looking for products on the Internet, it is important to have a place to showcase your products/services. However, there is a number of challenges that you may face when it comes to website development for your business. For example, if you’re in need of e-commerce website, you should take into account the shipping tools or the fact that you will have to update the inventory/catalog constantly. Having a website will significantly improve the credibility of your business. At the same time, it will reassure your customers that you own a legitimate business. In case you get your website designed professionally by a highly reputed digital marketing agency such as Media Glance, your customers will easily get hooked on. This is because this digital marketing agency deals in a range of modern website designs for all types of businesses. Other services that it provides includes Search Engine Optimization, Local SEO in Toronto, Social Media Marketing, Display Advertisement, PPC Management, Email Marketing, and Content Marketing. Once you own a website, all of these services on their own can bring unique benefits to your business. Ultimately, you will see a rise in your profitability. A business website offers you a wonderful opportunity to learn more about who your audience and customer base are. At the same time, it offers you a unique opportunity to find information about your potential audience. Once you get an idea of who your website visitors are, you can tailor your interactions based on the preferences of your customers. This is a great way of increasing profitability, and successfully running a business on the Internet. For instance, offer unique discounts to users that are visiting your website in return of a subscription. This allows you to collect their email addresses. Regular communication through the newsletter could then be established. The emails of customers can also be used to share special offers, promotions, and advertisements for new products and offerings. However, do remember that communication through the Internet should only be done sparingly. In case you fill up the inboxes of your customers unnecessarily, they are likely to flag/block your email address. In case you decide to have a website for your business, you are likely to see returns on your investment within a few months. This, however, holds true in case you utilize the power of a website and digital marketing services effectively. This is something that reputable online marketing agencies such as Media Glance can help you with. Usually, the maintenance of a website as well as initial cost to design and build a website from scratch can vary depending on the quality and how much work you need to be done according to your business goals. 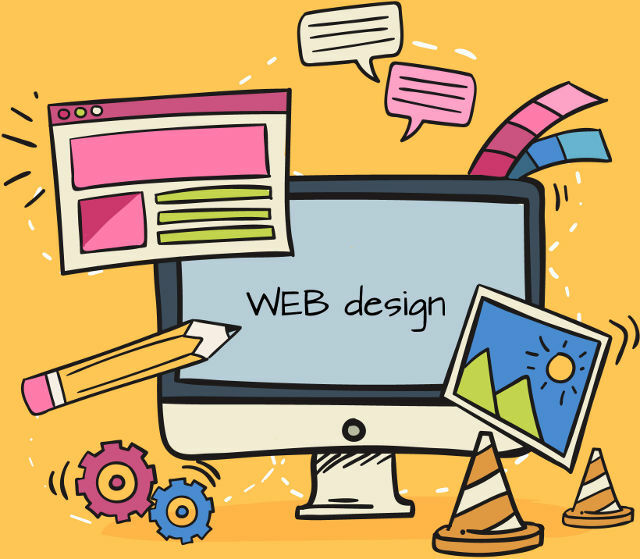 Websites are a great way to reach out to the potential and existing customers. They allow you to showcase your service or products to your target audience, resulting in better customer engagement and long-term profitability. All in all, business websites increase customer loyalty and trust, by making your service/brand look authentic and legitimate.